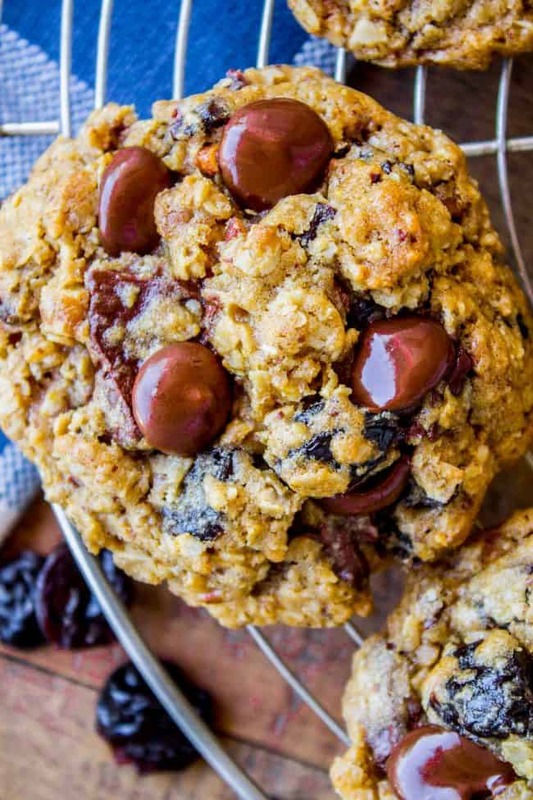 These are thick and ultra-chewy oatmeal cookies, made with brown sugar and some KILLER mix-ins, are you ready? Dried tart cherries, dark chocolate, and toasty pecans. These cookies totally caught me by surprise and now I am OBSESSED. Also, here’s the best part: I just read Eric this list and the first thing he said was, “That’s your dad’s list from last year I’m pretty sure.” No, Eric. No it isn’t. It’s just basically the same as last years. Oh Dad. I love you. Honestly, I was not very excited about trying these cookies. (Dried cherries? Come on. Give me the goods.) My sister-in-law Reesy has been going on about them for ages, “they’re the best cookie ever” “You won’t believe how good they are” etc etc. 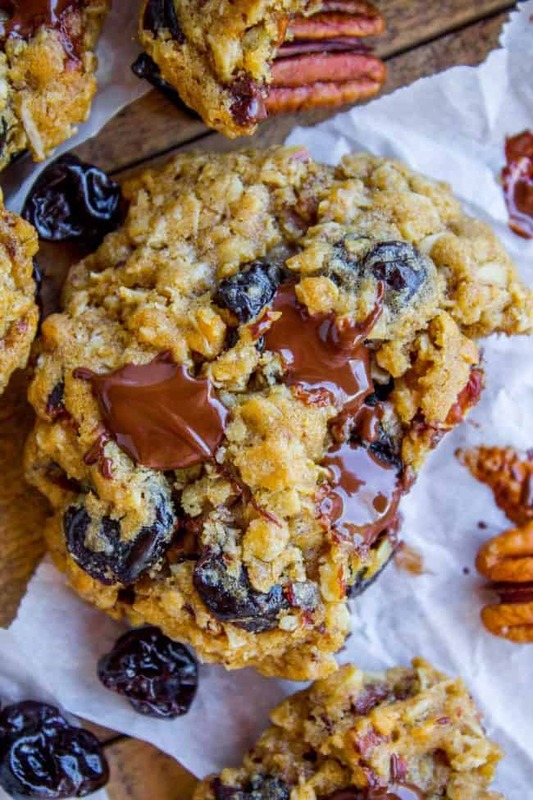 Well I’ve heard it all before Reesy, but dried tart cherries MESSING UP a beautiful chocolate-and-oatmeal cookie sounds like a huge disappointment. Well guys, I went through the full repentance process on these cookies. And now I’m going to knock on your door and tell you all about them. They are AMAZING. So soft and chewy, so tender, with just the right amount of cherry flavor and chocolate to balance it out. I could not stop eating them. My parents and my brother were visiting one afternoon after I had baked these. I offered some to everyone and my dad and brother both said, no thanks, I’m watching my girlish figure, or some lame excuse. Finally they broke down and tried them after my mom would not stop talking about them, and they both had to admit that they were amazing. And then we ate ALL of them. 1/4 cup of dough per cookie, please. One last hallelujah about these cookies: NO CHILLING REQUIRED. 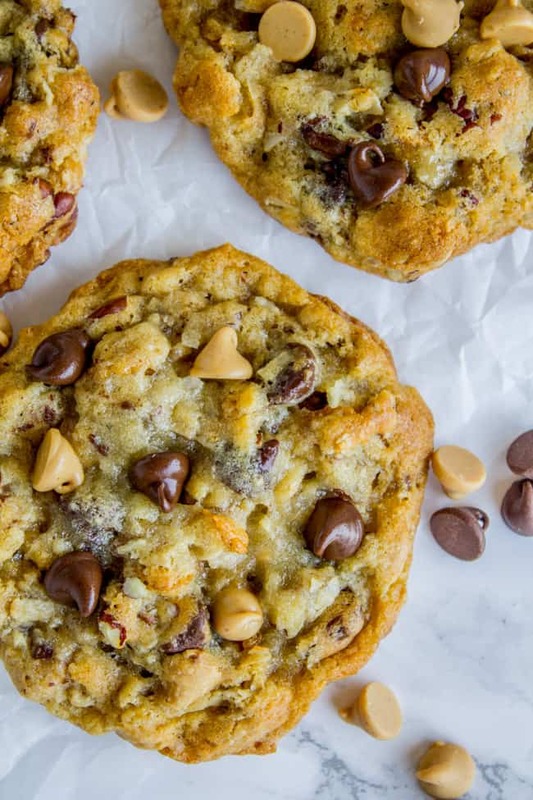 Guys, I know sometimes you need a cookie in your mouth like yesterday, but the fact of the matter is that chilling the dough almost always makes for a 100x better cookie. But not so with these ones! They are actually better when not chilled. I tried it, and when I put them into the oven cold, they didn’t spread enough and just stayed in little balls of sad half baked dough. You want to make sure that they are not going to flatten into a complete pancake when baking though, so make sure the butter that you cream is soft, but not TOO soft. These would be such a perfect cookie to add to cookie plates this Christmas! Your neighbors will love you! 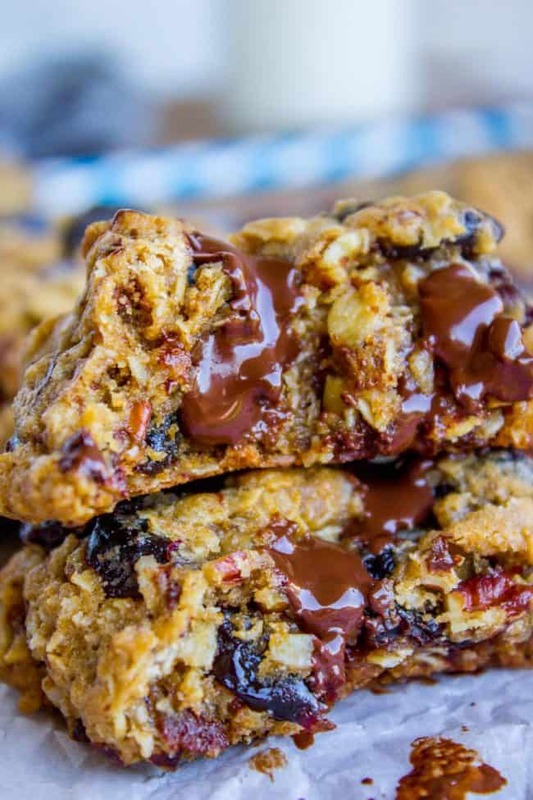 These are thick and ultra-chewy oatmeal cookies, made with all brown sugar and some KILLER mix-ins, are you ready? Dried tart cherries, dark chocolate, and toasty pecans. These cookies totally caught me by surprise and now I am OBSESSED. Preheat oven to 350 degrees F. Prepare baking sheets with parchment paper or silicone baking mats. Let your butter sit out of the fridge for like 10-15 minutes. 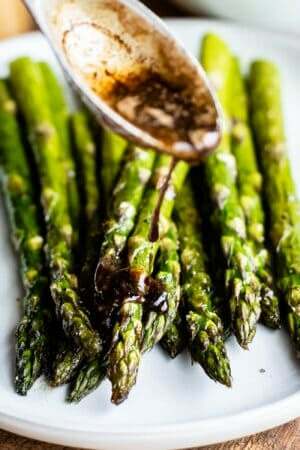 In a large bowl or stand mixer, beat together the butter and brown sugar until lighter and fluffy, about 1-2 minutes. Scrape down the sides and bottom of the bowl. Add 1 cup of flour to the bowl but don't mix it in. Use a small spoon to stir the baking powder, baking soda, and salt into the flour. Then use the spoon or mixer to mix in the flour until it is not quite combined. Add the old fashioned oats, quick oats, cherries*, chocolate, and chopped pecans. Gently fold in the mix ins. Make sure all the flour streaks are gone. Don't over mix, once it comes together you're good to go. Fill a 1/4 cup measuring cup with dough. Shape the dough into balls and place them on the cookie sheet. You can only fit about 8 cookies per sheet. Make sure there are about 2 inches in between the cookies. Bake at 350 for about 12-13 minutes, or until the edges are set. There can be a little bit of shine in the center of the cookie, but it shouldn't look completely shiny. 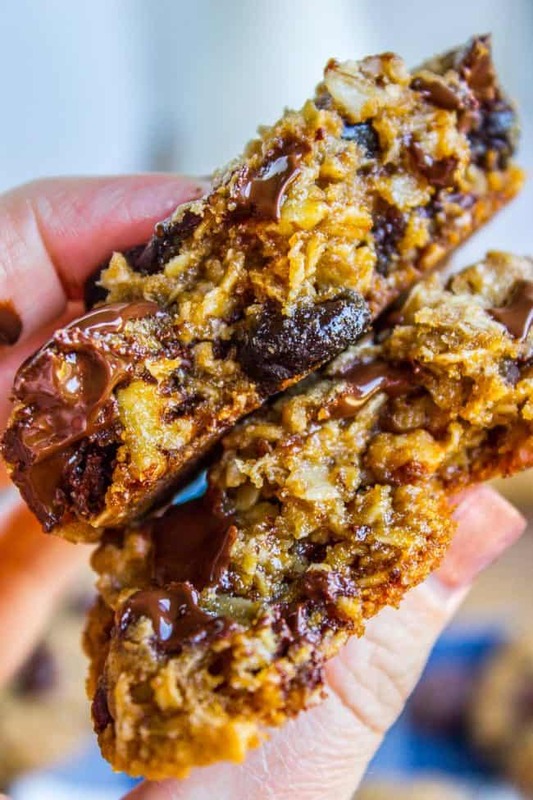 Top immediately with dark chocolate chips. Let the cookies cool on the rack for about 5 minutes, then remove them to a cooling rack. You can get dried tart cherries at the grocery store next to the raisins and other dried fruit. I like to get the big bag at Costco. 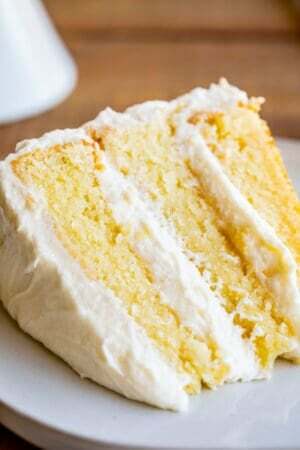 This recipe is from Eric's sister Reesy, who adapted it from Cook's Illustrated. 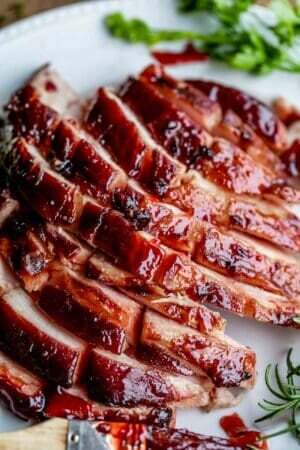 Also featured on Epicurious. Texas Cowboy Cookies << these cookies are unstoppable. MAKE THEM! 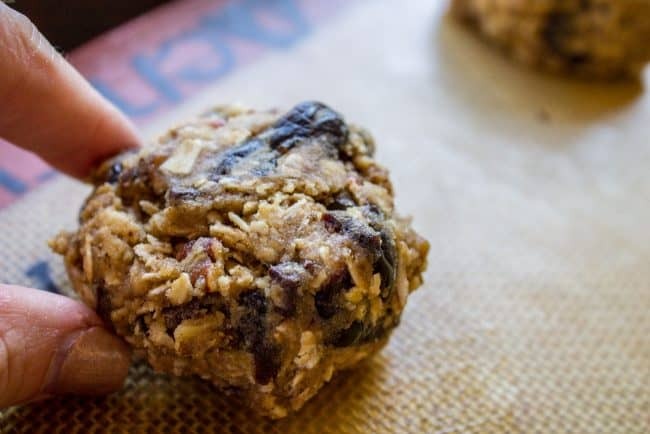 Buried Cherry Cookies: I make these every Christmas without fail. They are SO GOOD! 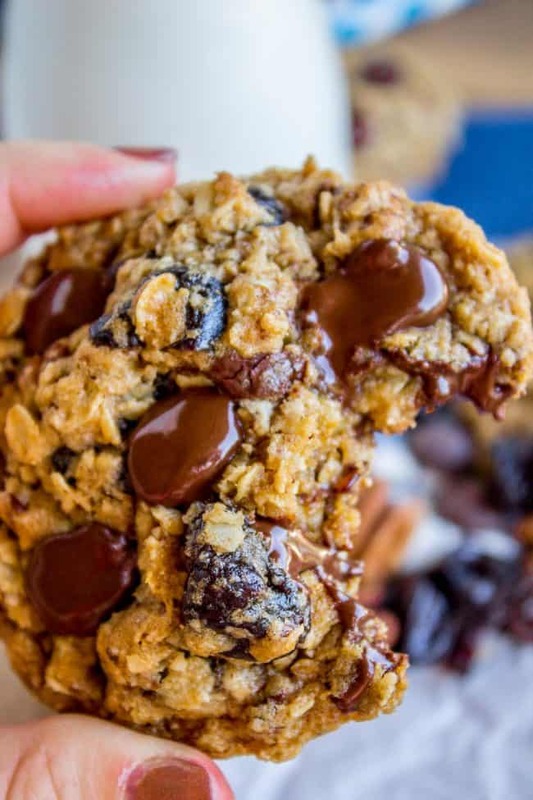 Chewy Peanut Butter Oatmeal Cookies << everyone needs a classic recipe like this. More cherry cookies to love! Everyone loved these. 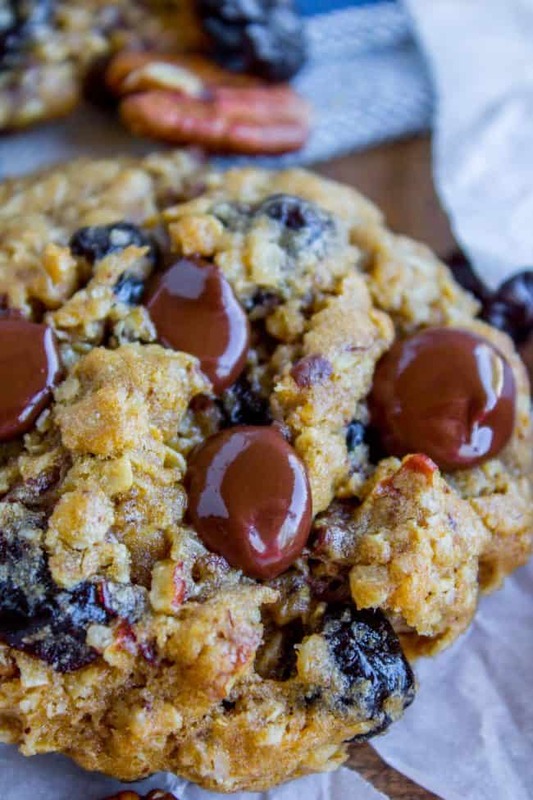 I was looking for a cookie with the same flavor profile of a new coffee I was introducing to the office (dark chocolate, dried cherry and praline) and this recipe came up. 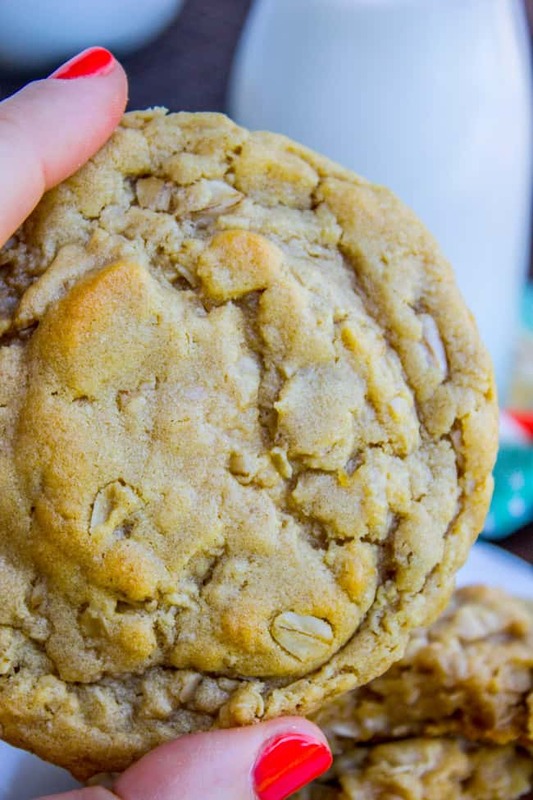 Sounds like a a pretty good coffee flavor, I bet it would be even better with these cookies to go with it! I’m so glad it was a hit, thanks for the comment Peggy! 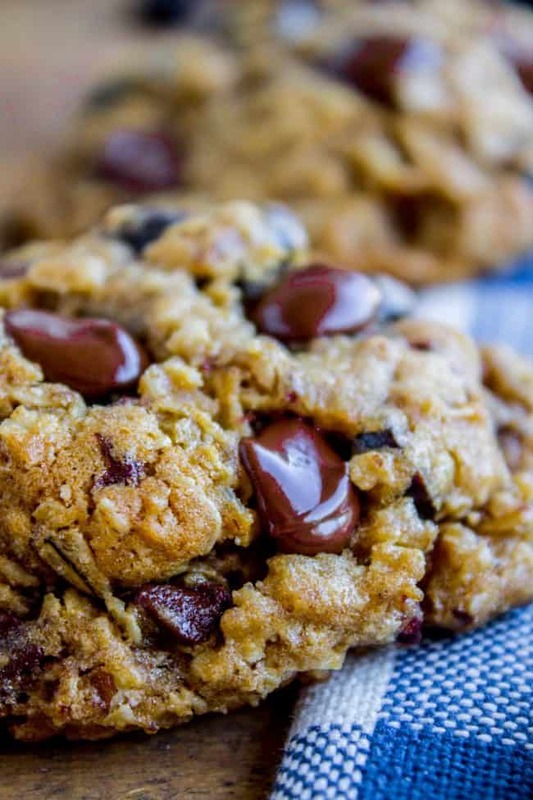 I add my compliments of this cookie- so chewy, flavorful, and addicting! These sound SO good! I am a huge chocolate covered cherry fan, so these would be right up my alley!!! The only problem is that I cannot have the pecans. 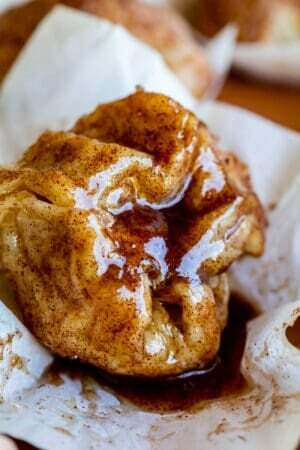 I know you said that the pecans are amazing in these, but can they be made without them, and still turn out well?? Would you adjust the other add ins to make up for not having the pecans? Hey Kathy! 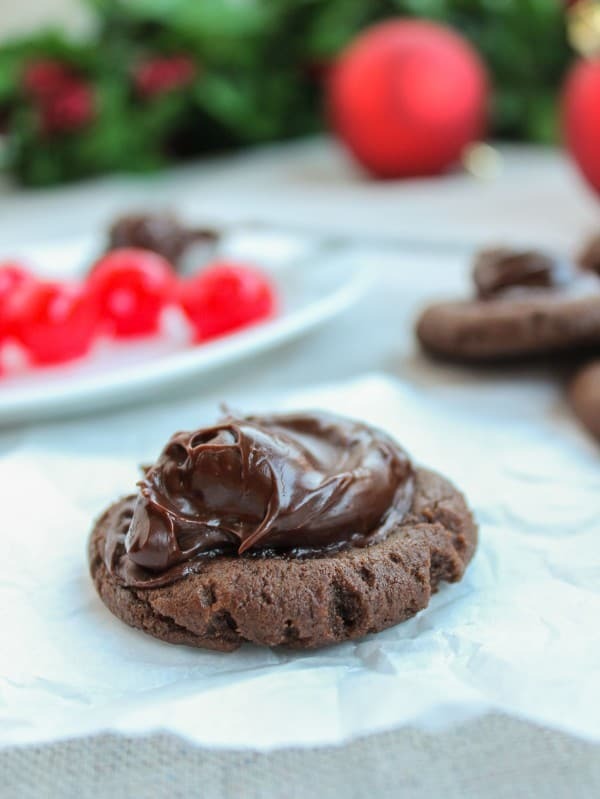 You will love these cookies if you love chocolate and cherry! You can safely omit the pecans. The original recipe doesn’t call for them. Add 1 and 1/4 cups flour instead. I hope you love them as much as we do! These cookies are amazing! I got the recipe from a friend a few years ago when she brought some to my house to have with coffee. They are my favorite cookies and I have baked and gifted them on numerous occasions. Do not skip toasting the pecans, the toasting adds another layer of flavor. Yay! Another cherry chocolate lover! They are so good right! I was totally blown away. You are totally right about the toasting. It really does something magical to pecans. 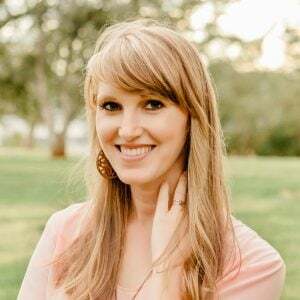 Thanks for commenting Brandi, it’s so good to hear from you! Unlike some people, I adore dried fruit in my oatmeal cookies, so BRING IT ON girl! These look a.ma.zing – Santa might get a plateful this year!